Map Ltd., in the frame of the Project Agreement with the Holy Archdiocese of Athens, completed and delivered successfully stages of Phases 1, 2 and 3 of the work. From 10/29/2016 to 05/31/2016 undertook the completion of Phases 4 and 5, which include full administrative and geospatial documentation of important Ecclesiastical Properties and pilot mode. 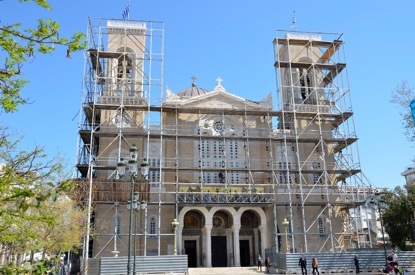 The aim of the project is to modernize the business operational procedure of the Holy Archdiocese of Athens and through this to support and strengthen its charitable work. In the obligations of the project are included: digitization of documents, introduction of produced data in a system with simultaneous interconnection, data entry accuracy checks, quality check of digitised documents and corrections of mistakes and precession of the digitised data in the information system for permanent digital archiving. The challenge of the project is the vast volume for management and processing of the historical file and the and the geolocation and connectivity of the properties.